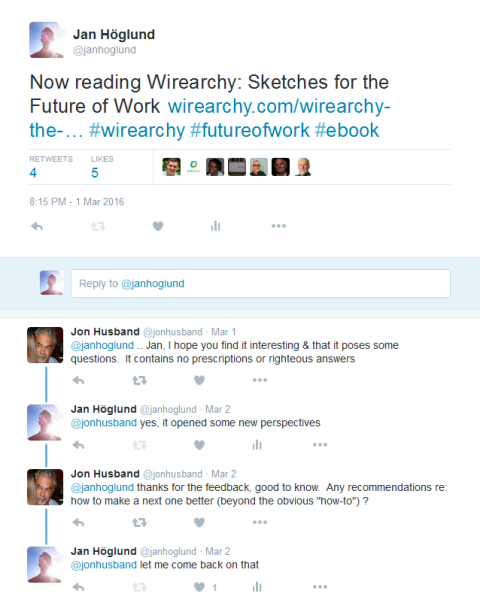 Wirearchy: Sketches for the Future of Work is an ebook by the Wirearchy Commons. The persons who have contributed to the book are (in alphabetical order) Thierry de Baillon, Jon Husband, Harold Jarche, Valdis Krebs, Richard Martin, Jane McConnell, Anne-Marie McEwan, Robert Paterson, Luis Suarez, and Frederic Williquet. Value-creation, which is enabled through “collaboration and cooperation“, including “the furthest possible distribution of authority” (p. 6). What I particularly like about the book is Jon Husband’s active questioning of all assumptions, including his own. He writes that “no doubt much of what we understand and think today may be quite different in two or three years’ time than seems to be probable today” (p. 5). I also appreciate the book’s focus on wirearchy as an “emergent organising principle” (p. 8), and not on “solutions or methods or best practices” (p. 8). The reason is that I share Ralph Waldo Emerson’s view that: ”The man who grasps principles can successfully select his own methods. The man who tries methods, ignoring principles, is sure to have trouble.” I think it’s crucially important to understand why you do something, and not just how to do it. And I think this is very much related to wirearchy’s pillars, which leads me to Jon Husband’s question (see below) whether I have any recommendations on how to make the next book better. My recommendation would be to continue focusing on the principles as they emerge. This also means that it would be helpful to understand more about how the principles have emerged historically. This doesn’t mean how-tos are unimportant. If I would give any additional advice, I would suggest reducing the number of contributors per book, and instead, give each contributor more space. I do like the different perspectives provided by each person, but I think there were too many contributors in such a short book. I look forward to the next book. The journey from hierarchy to wirearchy continues! 1 Jon Husband, Wirearchy: Sketches for the Future of Work, p. 5. 7 Valids Krebs, Ibid., p. 19. 9 Harold Jarche, Ibid., p. 25. 12 Anne marie McEwan, Ibid., p. 35. 14 Luis Suarez, Ibid., p. 39. 17 Rob Paterson, Ibid., p. 45. 19 Valdis Krebs & Jon Husband, Ibid., p. 56. 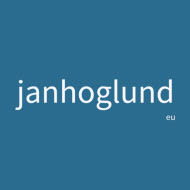 22 Jane McConnell, Ibid., p. 62. 24 Richard Martin, Ibid., p. 71.